Writing any kind of traditional plot summary for Mad Max: Fury Road is totally redundant, so I'll eschew my normal opening to cut to the chase. Should you go and see this film? Yes, it's awesome or, as I understand the kids phrase it these days, "'Da bomb," so there you go. Job done. Peace out. For a bit more of an analysis, I am late to the party here. 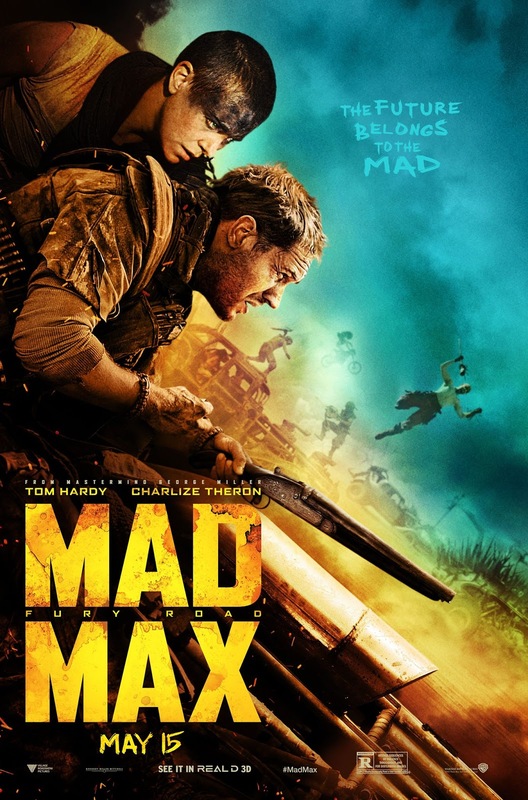 By now, most reviewers have waxed lyrical on the film's explosions, car chases, feminist subtext, fight scenes, action sequences and Max's shockingly small number of lines (although shocking only in the context of someone who's never, ever seen a Mad Max movie), and these are all points that stand up to scrutiny. 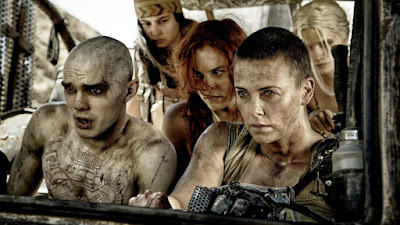 Fury Road is essentially a 100-minute-odd-long car chase as the forces of Immortan Joe try to recapture "breeders" (female slaves imprisoned for the purposes of procreation) liberated by Imperator Furiosa. "Mad" Max Rockatansky ends up helping out Furiosa by accident after getting randomly caught up in the whole mess. It's the modern action film stripped back and laid bare, and it's surprising how powerful this is. So many recent action movies have been straddled with incoherent, over-complicated storylines revolving around tedious magical maguffins and their plots have been filled with more holes than Swiss cheese. In fact, another recent Charlize Theron-starring CG blockbuster, Prometheus was nothing but a string of plot holes strung together with good performances and nostalgia for back when Ridley Scott was good. Fury Road inverts this trend. The villain wants his captive women back (including Lenny Kravitz's daughter and Elvis Presley's granddaughter, because the film thrives on random awesome) and will drive his army of Viking-inspired, albino-skinhead truckers, bikers and flamethrower-wielding guitarists (yes, really) across dozens of miles of wasteland to achieve that end. Hilariously, every time you think, "This is kind of dumb," someone on-screen will also say, "This is kind of dumb," and a brief discussion will ensue about why it is not, in fact, dumb. 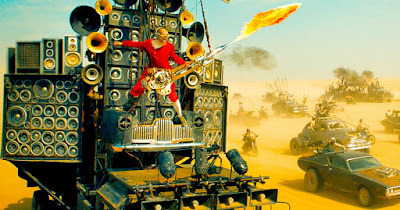 In fact, at one stage Immortan Joe's accountant takes his boss aside and points out that the trip is ludicrously expensive considering they're a bunch of Viking albino skinhead truckers living in the desert with limited resources, and Joe actually takes his warning seriously. Whether such moments are convincing or not is another question, but this is a film that is a lot smarter than it looks, and it smartly keeps things simple and straightforward. Simple doesn't mean shallow, though. For such a concentrated, intense story, the film has a surprisingly large cast, but all of them, even Immortan Joe's dumb-arse son (with the amazing name Rictus Erectus), have at least a few scenes establishing character and motivation. Riley Keough's Capable (the red-haired captive) has maybe a dozen lines in the film but she is nevertheless established as a strong and resourceful individual who is quick to learn the ways of fighting on the road. It's been said that Mad Max himself - a taciturn performance by Tom Hardy - gets a little lost in the mix but this isn't really the case. He's present throughout, comes up with some important plans and ideas and is skilled and important in the fights. However, the film follows the convention of the earlier movies in that Max isn't invested in what's going on, being a drifter caught up in the madness and being the audience's viewpoint in what's happening. Max is the window through which we see the story, not the story himself, and that's the same as it was in at least the previous two films in the series. It's also interesting that the director keeps Max's most impressive solo moment of heroism and carnage off-screen, leaving what happened to the audience's imagination. The centrepiece of the film is Charlize Theron's Furiosa. She gets most of the lines (although in a dialogue-spare picture, this isn't saying a huge amount), forms the emotional core of the film and is responsible for several of the movie's most awesome moments. That Theron (an Oscar-winner, lest we forget) is a fantastic actress is something audiences have taken for granted, but Fury Road reminds you exactly why. She combines steely resolve, bravery, pain (physical and emotional) and commanding charisma in what might be the most impressive female action lead since Ripley and (T2's) Sarah Connor. Apparently a Furiosa-centred spin-off is in the works and should be greenlit as soon as possible. If this is the Memetic Femocalypse, bring it on. Also worthy of note is Nicholas Hoult as Nux, a "War Boy" who reluctantly joins Team Furiosa after failing Joe one time too many. Hoult has been around for a few years, putting in solid performances in TV shows such as Skins and films such as the previous two X-Men flicks. But his unhinged, sympathetic performance in Fury Road as a kid dreaming of Valhalla and who has drawn smiley faces on his tumours to humanise them is dazzling. Expect to see his career level up after this movie as well. Director George Miller spent fourteen years or so trying to get this film made and this allowed him to rewrite the script and storyboards so many times that everything was polished to a T. His direction is crisp and flowing, his action scenes crunchy and chaotic but fully understandable. The cinematography by John Seale (Cold Mountain and The English Patient, amongst many others) is jaw-dropping, with the film filled with iconic shots and epic panoramas. Expect to see a blizzard of memes and screenshots overrunning the internet once the film hits Blu-Ray. The soundtrack is appropriately bananas as well (remember: flamethrower guitars). The action sequences also benefit from mostly being done in-camera. The one 100% CGI sequence - a massive, towering sandstorm - is itself a brilliant set-piece, but for the most part Miller uses CG to combine and enhance landscapes and occasionally punch up explosions to give them a bit more oomph. Otherwise everything you see is actually being staged for real in the Namibian Desert, which gives the film a verve and heft other action films can only cry out for. 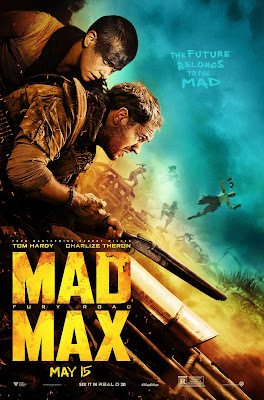 Mad Max: Fury Road (*****) is what happens when you cancel your director's previously-contracted movie and then you go a bit overboard with the severance package. It's the result of $150 million given to a director of talent and skill who knows exactly the right people to hire to turn his unhinged vision into a reality and never compromises on it. It's the most un-Hollywood Hollywood movie of the last decade. It's loud, violent and visceral, but also smart, restrained and respectably short. It is on general release now. Ten years ago, a bank robbery in Yankton went badly wrong. One of the criminals, Trevor Phillips, barely escaped and another, Michael Townley, got away with his freedom only by giving information to a government law-enforcement organisation. 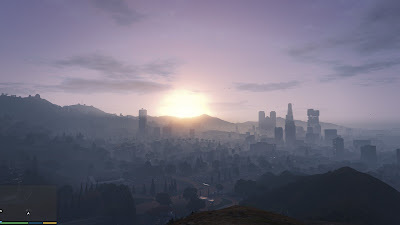 In the present day, Michael is living a peaceful live in witness protection in the city of Los Santos, San Andreas. He hooks up with a young criminal, Franklin, and is drawn back into a life of crime. Unfortunately, one of his high-profile escapades attracts Trevor's attention and Michael soon has some awkward questions to answer. 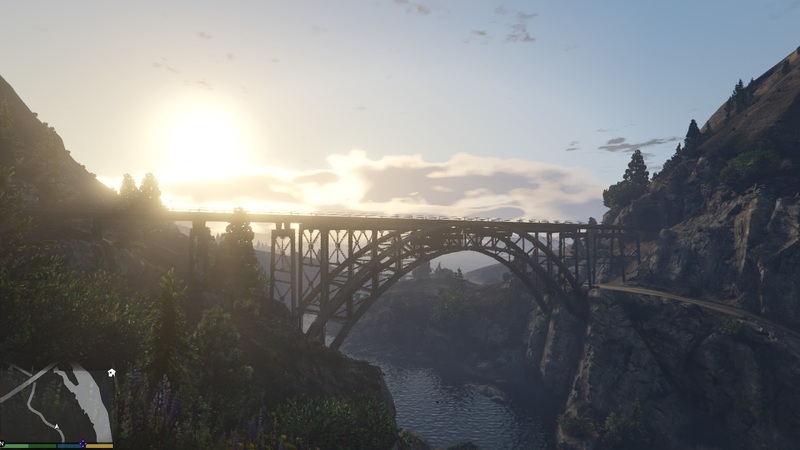 Grand Theft Auto V is a massive, sprawling monster of a game. If the gaming scene has recently seen a surge in cheaper, independent and crowdfunded games relying more on wit and imagination than money, than GTA5 is here to show everyone what can happen when you have a game as expensive as the most costly movies ever made ($250 million and change). 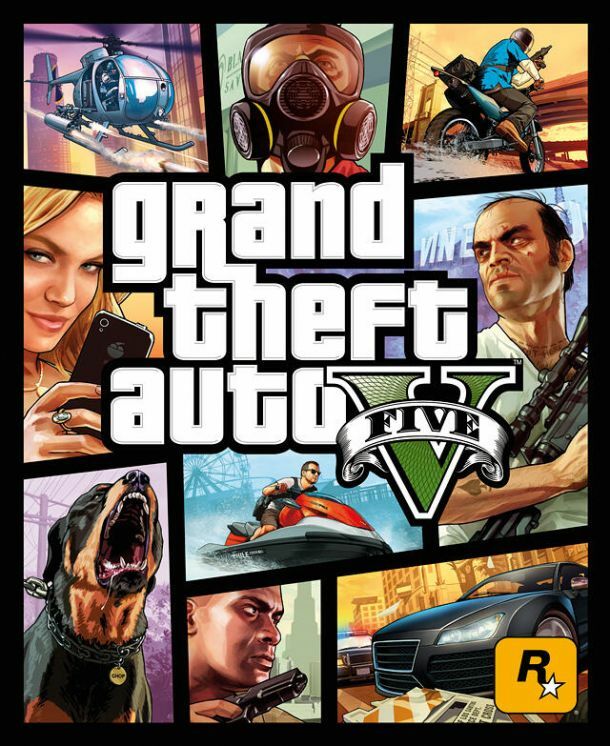 GTA5 is big on everything: insanely good graphics, a huge story taking at least 30 hours to run through - with side-missions and optional activities at least doubling that - and a seemingly never-ending array of vehicles and weapons to unlock. The game also has a big multiplayer component and, on PC, a formidable array of user-created mods and a built-in replay and cinematic editor to create your own movies. This is the ultimate expression of the sandbox game, a game which lets you have fun on its terms but then gives you the freedom to make your own fun with its tools. Rockstar have clearly listened to criticisms of GTA4. Despite it's impressive graphics and sense of place, the previous game in the series was criticised for its dourness, its grumpy main character and the constrained sense of space and setting compared to its predecessor. The latest title in the series is much bigger, throws three different, contrasting main characters into the mix and embraces a bit more of the zaniness that made previous titles like Vice City and San Andreas so brilliant. It's certainly not a perfect game and manages several major missteps, but it shows Rockstar taking on board the views of fans to craft a stronger game. In terms of gameplay, almost everything has been given a work-over. Car handling is improved, combat is more satisfying (even if early reports that it was going to be as good as Max Payne 3's were over-stated) and even the often-dodgy handling of aircraft and bikes is better than it has been in previous games. The map is big, but contained and well-designed enough that it never takes too long to get anywhere, even by car. In fact, those used to playing games like Fuel and Just Cause 2 may find the map far too small by comparison, but its detail (everything is hand-crafted, whilst other games rely on procedural generation or vast areas of wasteland to pad everything out) more than makes up for that. The game also has a surprisingly strong array of side-games. If bowling was a little dull in GTA4, the new game makes up for that with some fairly robust tennis and golf games which are a lot more fun and, crucially, no-one rings you up demanding that you go to play with them mid-mission. 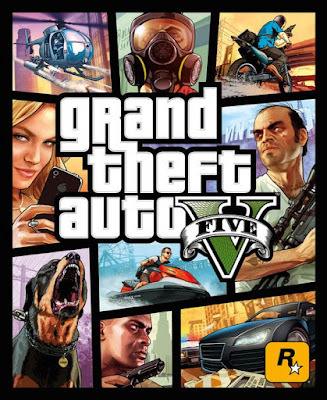 The game also has the best soundtrack since San Andreas, if not even the mighty Vice City, with a good mixture of old and new songs and, with the adverts and talk stations, a return for some of the biting satire the series used to be known for but had gotten a little lost in the mix in GTA4. Long-term fans will also enjoy getting to finally meet long-term creepy radio DJ Lazlow in the flesh. So the soundtrack is great, the visuals are jaw-dropping, the vehicles all handle great and the combat is pretty solid. Unfortunately, the game stumbles somewhat when handling the main story. Rotating between Trevor, Michael and Franklin makes for some memorable moments and the ability to contrast the points of view of the respective characters about what's going on, but it also makes for a fragmented narrative. The storyline also focuses a lot on Trevor and Michael's shared history and problems and Franklin's character growth and development (strong at the beginning) tails off mid-game. It definitely feels like there was more stuff planned for Franklin and then cut: subplots with his ex-girlfriend and an old neighbourhood criminal called Stretch never really get off the ground but later seem to be fairly important. He feels the most under-served of the three characters, which conversely makes him the one it's easiest to actually play as you feel, as his character doesn't get in the way of the gameplay so much. It feels odd to have undercover, taking-it-quietly, family man Michael flip out and start blowing away helicopters, whilst playing Trevor for more than five minutes without going berserk also feels untrue to the character. The storyline itself is okay, though jammed with so many GTA series staple cliches (government agents, drug gangs, vacuous celebrities, corrupt politicians, ordinary people driven crazy by their superficial lives) that you'll see almost every plot twist coming. That's not to say it isn't fun, but veterans of the series won't find much here that hasn't been seen before. There's also the tone, which occasionally feels too restrained. GTA5 is a much looser, freer game than 4 and one that feels more confident in heading in the direction of unleashing the total craziness that made Vice City and San Andreas fun, but the game then seems to fear it's trying to copy Saint's Row and pulls back on it. This may also explain why there are some serious opportunities for insane carnage but which then never materialise: there's a whole prison and military base which are never used, despite both being mentioned a lot in the story. Where GTA5 really trips over itself is its humour. The GTA series is known for its satire, and this is a bit sharper than it has been for a while. Selfies, Facebook, Twitter, the global financial crisis, hipsters and internet dating all come in for a bit of a skewering, which is amusing if obvious and a little dated (blame the game's long lead-time in production). However, the game also goes astray in using multiple jokes based around transphobia. The series has aimed to satirised aspects of minority cultures before without tripping into outright 'isms (if running a bit close on occasion), and when it did offend it generally tried to make amends later on (some lame gay-bashing jokes in GTA4 recovered a little by having a nuanced gay main character in The Ballad of Gay Tony expansion). In this case it feels like just a cheap and aimless couple of gags that go nowhere. Despite its reputation, the GTA is actually usually a bit smarter than that. For a game this sprawling, huge and long, however, such ill-judged moments are very few and far between. For all its embracing of tiresome cliche, GTA5 (****) is well-paced and relentlessly fun to play. 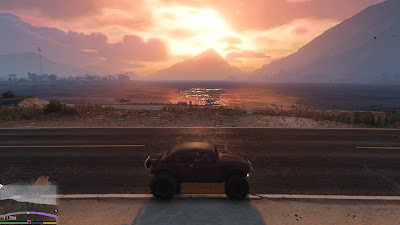 It's certainly the first game in the series since San Andreas where it's fun just to load up the game, whack on some tunes and go for a long drive along the ocean freeway whilst gawping at the view. The disconnect between narrative and gameplay that the series has always suffered from is still present and correct, and the humour occasionally becomes offensive for the sake of it rather than having something to say. But the game is enormous, compelling and, on PC at least, gives the player the chance to use its tools to craft their own experiences. The game is available now on PC via Steam. Talion is a ranger of Gondor, helping guard the Black Gate. When the orcs of Mordor retake the gate, they kill Talion's family...and Talion himself. 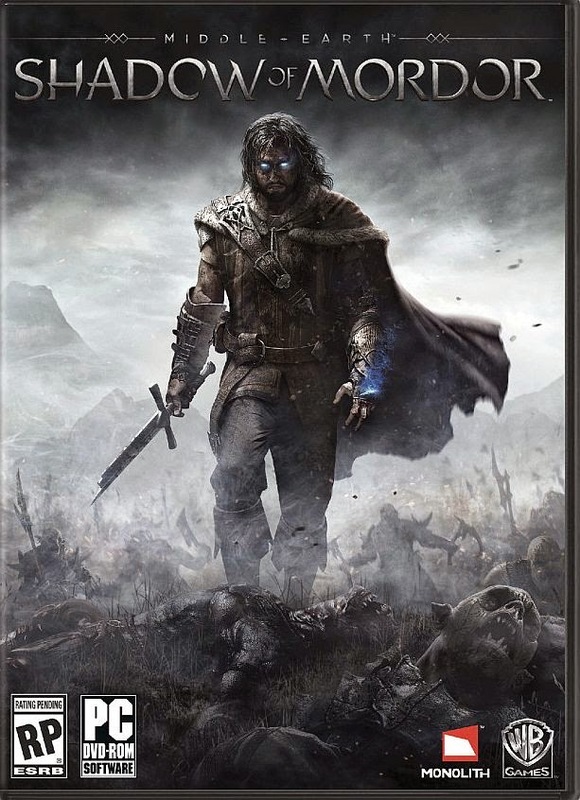 Talion is then resurrected by a wrathful spirit, an elvish wraith who can remember nothing of his past but is determined to avenge himself on the Dark Lord of Mordor. The history of Middle-earth video games has been patchy. Early text adventure The Hobbit was a classic of its genre and War in Middle-earth was a remarkable early example of a real-time strategy game. However, the Battle for Middle-earth series was highly inconsistent, and many of the tie-in action games with the movies were forgettable. Monolith has produced something different with Shadows of Mordor. On the surface it's an action game borrowing a lot of ideas from other franchises. The game focuses on combat between Talion and a large number of opponents, relying on positioning, blocks, chains and special attacks to survive challenging fights. These mechanics are very similar to the Arkham series of Batman games. There's also an open world to explore with side-missions and towers you can rebuild to gain more intelligence on the surroundings, lifted pretty much straight from the Far Cry series. Although Talion is formidable in battle, he can be swamped easily in long fights so there is also a strong stealth focus similar to the Assassin's Creed games. However, Shadows of Mordor rises above its influences to become more interesting than it first might appear. It helps that it was created by Monolith, a talented video game company responsible for some of the finest first-person shooters ever created: the FEAR and No-One Lives Forever series, the early and influential Blood games and the awesome (and sadly never resurrected) SHOGO: Mobile Armour Division, which mixed up the FPS and mecha-piloting genres fifteen years before Titanfall. Monolith handle the transition into third-person combat quite well and bring their formidable experience to the game in the form of visceral, solid and satisfying combat and a genuinely new and gamechanging mechanic: the Nemesis System. Shadows of Mordor features a lot of orcs. An absolute ton of them, in fact. And they're not all mindless monsters. As the game progresses, the orcs gain experience and skill and climb up through their hierarchy of chiefs, captains and lieutenants, murdering and backstabbing one another as they try to gain personal power and influence. For the first third or so of the game, Talion's interaction with the orcs is limited to parting their heads from their shoulders. Later, thanks to his possessing elven wraith spirit, he gains the ability to magically take control of some of these orcs and swing them to his will. Apparently unwinnable fights can swing in Talion's favour by him reconnoitring enemy strongholds first and stealthily taking over multiple orcs. When the fight finally starts, he can unleash his own army of traitors. This becomes more complex when Talion starts taking control of lieutenants and captains, being able to arrange for them to turn on and betray their chiefs and putting Talion's own catspaws into positions of authority. This system can be turned against Talion, however. An orc who "kills" Talion in combat (Talion is always resurrected thanks to the handy elvish wraith) gains experience and prestige, climbing the ranks and possibly displacing Talion's own minions. As the game progresses this interaction becomes quite elaborate, and Talion losing a single fight can push his entire web of alliances and betrayals out of synch. Adding a yet further layer of complication is that the orcs have different strengths and weaknesses: some are only vulnerable to fire or stealth and some are invulnerable to takedowns or finishing moves. You have to gain intelligence to find out an orc's weaknesses before either killing or enslaving him. This results in a fascinating and - for a time - engrossing amd complex game of Orc Career Ladder Simulator, as you turn enemies against one another, sneakily arrange for massive Red Wedding-style orc betrayals and generally pull a lot of strings from behind the scenes. When your plans work you can't help but feel like a master manipulator. When they don't and you have to re-enslave half of Mordor's orcs just to bring down one annoying captain, massive frustration can result. When Tinder goes badly wrong. The Nemesis System is a genius idea, backed up by very solid combat, but after a while the game's other flaws come to the fore. The biggest problem is that this is an open-world game, but the world is tiny. There are two maps and both can be crossed from one side to the other in minutes. The spirit towers are so close you can almost jump between them and the massive number of orcs versus small number of locations results in multiple orc captains sharing the same strongholds. Ludonarrative dissonance (the clash between the game's narrative and actual gameplay) is a problem in most games, but, particularly in its second half, in Shadows of Mordor it becomes a near-constant problem. The maps should really have been four or five times their size to really sell the idea of Mordor as a vast, teeming network of competing orc clans. The other problem is that the game prioritises planning, intrigue and betrayal but then relies way too much on luck. A simple stealth attack on an orc general might result in a fight against him and a dozen bodyguards, or three other captains might stumble on the fight halfway through resulting in what feels like the Battle of the Pelennor Fields, but with only one person fighting the orcs. This can also dramatically affect the game's length: I've seen people beating the main story in well under 20 hours but others constantly getting their plans thwarted and having to invest over 50. And the repetitiveness of the combat, the lack of variety in objectives and the tiny maps makes this a game that definitely needs to be shorter rather than longer. There's also the storyline, which on the one hand embraces some of Tolkien's obscurer storylines (bringing in Celebrimbor, forger of the Rings of Power) and restraining the appearance of movie characters to basically one, lore-appropriate cameo (Gollum, although Sauron and Saruman have very brief appearances) but on the other embraces full-scale blood-letting and slaughter. Tolkien certainly wasn't above doing the gritty, dark stuff (more in The Silmarillion than the later books, it has to be said) but Shadows of Mordor wades through the grimness until it starts to get a little bit comical. Shadows of Mordor (***½) is certainly one of the more interesting and smarter Middle-earth video games. The action is solid and the Nemesis System is engrossing (expect to see variations on it popping up everywhere soon). However, the maps are too small, the tone is far too grim and the game crosses the thin line between challenging and monitor-smashing frustration a few too many times. 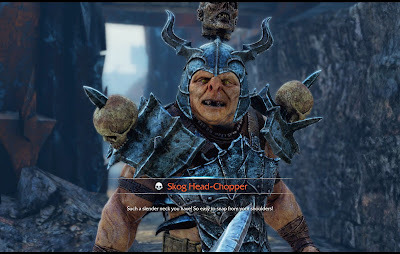 A sequel (which the game groan-inducingly teases in its final moments) with a bigger map and more variety could build on the systems here into something truly special, but for now Shadows of Mordor is a solid game with a genius central mechanic let down by some design problems elsewhere. Certainly worth a look. It is available now in the UK (PC, X-Box 360, X-Box One, PlayStation 3 and PlayStation 4) and USA (PC, X-Box 360, X-Box One, PlayStation 3 and PlayStation 4). io9 has a great interview here with author Richard Morgan about his mid-2000s stint writing the Marvel character Black Widow, who, personified by Scarlett Johansson, has become one of the more notable characters in the Marvel Cinematic Universe. Some interesting stuff on the character and how Morgan perceives a Black Widow-dedicated movie could go. 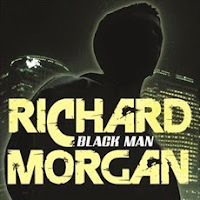 Morgan also confirms that his next novel will be called Thin Air and will be set in the same universe as Black Man (aka Thirteen in the States), on Mars and some time after the events of that book. SyFy have released a proper trailer for Childhood's End, their three-part mini-series based on Arthur C. Clarke's 1954 novel. It looks like the series will follow the approximate storyline from the novels, but will feature more characters and storylines to pad out the book's modest length. 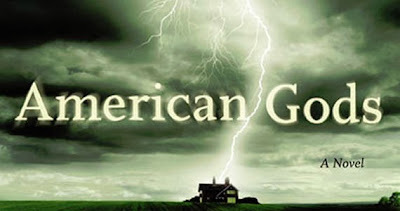 The series will air in December 2015. The city-state of Dorminia has fallen to the forces of the Lady of Thelassa. Early celebrations at the fall of one tyrant become muted as it becomes clear that the people have merely swapped one yoke for another, to the fury of Eremul the Halfmage. Meanwhile, Davarus Cole labours in a prison camp and dreams of escape, whilst Brodar Kayne, the Sword of the North, must cross a thousand miles of wilderness to reach his homeland in the High Fangs. 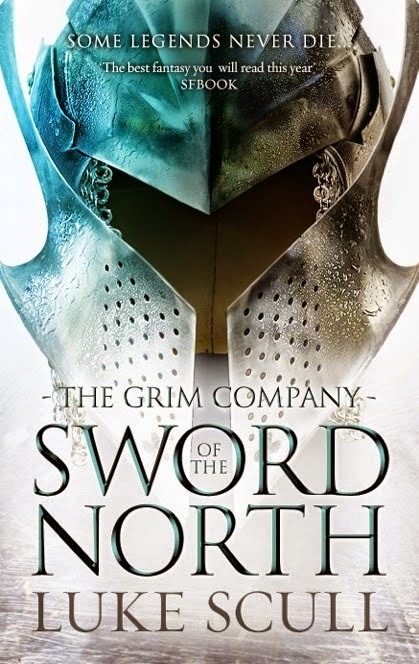 The Sword of the North is the follow-up to The Grim Company, one of 2013's more interesting fantasy debuts. It's the middle volume of a trilogy in the Abercrombie mould, with hard and brutal events offset by occasional knowing nods and winks about the silliness of the genre (and the odd Skyrim reference). On the negative side, it is definitely the middle book of a trilogy and falls prey to many of the classic problems of such a volume. The story doesn't really begin or end, instead just rotating the characters through a series of intermediary plot points, some of which feel vital to the overall story and others feel like they exist solely because they are expected to in a fantasy trilogy. Brodar Kayne's story involves a whole lot of walking, Eremul's involves a whole load of fairly unsatisfying politics and Davarus's involves a whole load of hanging out in a prison camp. As middle books of trilogies go, this is definitely one of the more standard. The author, at least, recognises this and gives the book a more cohesive shape with the arrival of some new players, some substantial expansion of the backstory and a nice recurring flashback to Kayne's earlier life, which gives the novel a much-needed dramatic spine and sense of direction. There's nothing too excitingly original in these sections, but Scull's solid skills with action scenes and reasonable characterisation keep things ticking over nicely. The Sword of the North (***½) is a reasonable successor to The Grim Company, although it lacks some of the more compelling storyline and character moments of the original novel. It sets things up nicely for the finale, but it suffers a bit too much from "middle book syndrome" to truly shine. But if you enjoyed The Grim Company, this follow-up should satisfy. The book is available now in the UK and USA. 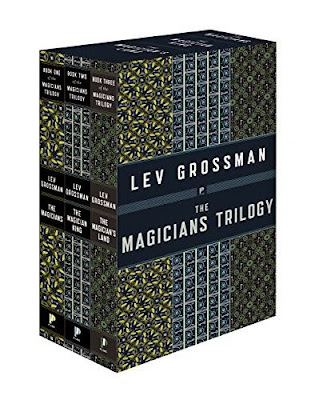 SyFy has greenlit a TV series based on Lev Grossman's Magicians trilogy (The Magicians, The Magician King, The Magician's Land). 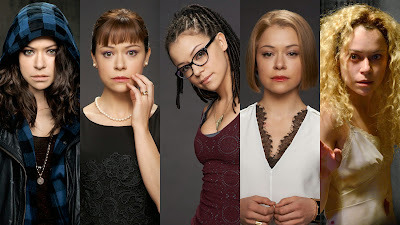 The first season will consist of twelve episodes and will shoot in Vancouver in July, probably for a 2016 debut. SyFy has also confirmed that its mini-series based on Arthur C. Clarke's novel Childhood's End will air in December. Surprisingly, they also confirmed that the first season of The Expanse, based on James S.A. Corey's novels, will also air in December. The Expanse started shooting in October 2014 and it was assumed would be a summer or early autumn launch. SyFy will either have to greenlight the second season before the first airs, or may envisage there being a long gap until 2017 until the second season can air. It's a slightly odd move for a show that looked ready and raring to go in the trailer released four months ago. Focus Home Interactive has released a teaser trailer for Battlefleet Gothic: Armada, a strategy game set in the Warhammer 40,000 universe focusing on space combat. No release date has been set so far, but the game is expected in 2016 (although hopefully it might just sneak in at the end of this year). Orphan Black has been renewed for a fourth (and penultimate) season, following high ratings for the opening episodes of Season 3 on BBC America in the USA and SPACE in Canada. BBC3 recently confirmed they will be showing the series "later this year", although with BBC3 set to close at the end of the year they need to hurry up. 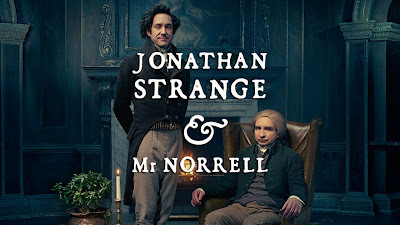 The BBC mini-series version of Jonathan Strange and Mr. Norrell has finally gotten an airdate, with the seven-part series set to start airing on Sunday 17 May in the UK on BBC1 and on 13 June on BBC America. Netflix has released the trailer for its new TV series, Sense8. Created by The Wachowskis (of The Matrix fame) and J. Michael Straczynski (the creator-writer of Babylon 5), it's a huge-budget, epic story following the lives of eight people living around the world whose lives inexplicably blend together in one moment, giving each access to the skills and knowledge of the others. 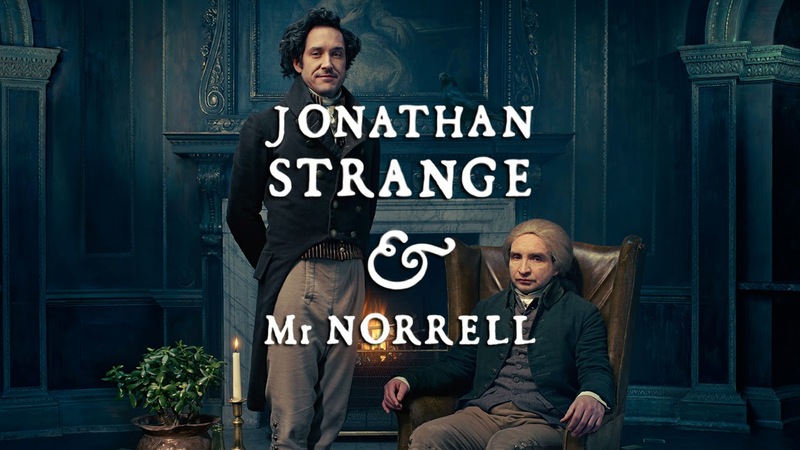 Netflix will release all twelve episodes simultaneously on 5 June.